NMIMS NPAT 2019 Registration can be done till 29th April 2019. NMIMS NPAT 2019 Application (MBA Course for Foreign Students) has been Released Now. 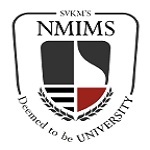 NMIMS NPAT 2019 is conducted by the Narsee Monjee Institute of Management Studies. NPAT 2019 New Exam Pattern has been Released now. This exam offers admission to Undergraduate and Integrated degree programmes. Through these candidates can get admission in schools of NMIMS at Mumbai, Shirpur, Bengaluru, Indore, and Navi Mumbai campuses. Courses offered in the field of Management, Engineering, Pharmacy, Architecture, Commerce, Economics, Law, Science, Liberal Arts, Design, Aviation, etc. 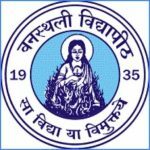 In this article, details are provided of NMIMS NPAT 2019 Entrance Exam Application Form, Exam Dates, Eligibility Criteria, Exam Pattern, and Syllabus Etc. NMIMS NPAT 2019 Registration can be done till 29th April 2019. Click Here to Check Registration Details. NMIMS NPAT 2019 Application (MBA Course for Foreign Students) has been Released Now. Click Here To Check Application Details. NPAT 2019 New Exam Pattern has been Released for Engineering & Non-Engineering. 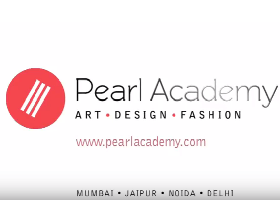 Click Here to Check Exam Pattern Details. Full Form Narsee Monjee Institute of Management Studies. All appearing candidates for NMIMS NPAT 2019 entrance exam must know the necessary, important dates, so they don’t miss any of it. In the below table, we have given the NMIMS NPAT Dates 2019 related to the exam and other activities. NMIMS NPAT 2019 Application Online Registration has been started on 25th January 2019, and the Last date of filling the application form on 29th April 2019. All candidates have to submit an application before the maturity date. The candidates can fill the application form through online mode only. So, it is suggested to fill the form carefully. NMIMS NPAT 2019 Registration has been Started on 25th January 2019. NMIMS NPAT 2019 Registration can be done till 29th April 2019. No offline facility made available by the university for the application form. Candidates have to fill the personal and academic details in the application form. After filling the details, candidates have to upload the scanned images of the photograph. There is no need to send the filled-in application form to the university office. Candidates must keep printed copies of the filled application and keep it till admission process. Take a look at the provided table where application form fees and the name of the school is provided. All candidates have to pay application form fees compulsorily. The courses offered through NPAT 2019 under UG and Integrated Degree programmes are listed below. Candidates can check the NMIMS NPAT 2019 Eligibility Criteria here. Before applying, candidates must check whether they fulfill all criteria or not. Below is given criteria of B.Tech & MBA Tech, B.Sc Finance, BBA, B.Com (Hons. 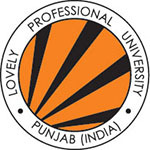 ), and MBA Pharma Tech (B.Pharm + MBA). The eligibility for various UG and Integrated courses are given below. Age Criteria: Maximum 25 years age candidates can apply. Minimum Marks: Minimum of 50% aggregate marks for B.Com and 60% for B.Sc in Finance and BBA in the qualifying exam. Qualifying Exam: The applying candidate must be passed/appearing 12th or its equivalent examination including International Baccalaureate diploma with science stream (PCM or PCB) and English as the compulsory subject. The exam will be conducted in the online mode. Exam Paper is divided into 2 part Paper 1 will be Common, and Paper 2 will be Design. Paper will be made available in the English language. Paper: The paper will be divided into two parts, i.e., Paper 1 will be Common, and Paper 2 will be Design. The language of Exam: The questions paper will be asked in the English Language. Duration of Exam: For paper1, 120 minutes will be given and for paper2, 90 minutes will be given. Number of Questions:120 questions will be asked in paper 1 and 60 in paper2. Negative marking: 1/4th marks will be deducted for an incorrect response. Candidates must prepare for the exam from the prescribed syllabus by authority. Firstly, collect all details from official exam pattern and syllabus of NMIMS NPAT 2019. Make a proper schedule for study. Candidates must study from good books of the best authors. Study all topics from the chapter, do revision after study. Candidates must maintain their health. NMIMS NPAT 2019 Admit card will be available on official portal. Candidates can download the NMIMS NPAT 2019 admit cards in the second week of May 2019. Candidate can download admit cards who have submitted application successfully through online mode. Admit cards for NMIMS NPAT 2019 will be made available to candidates after few weeks of examination. Carry hall ticket along with one photo Id proof on the day of exam in the examination venue. The result of NMIMS NPAT 2019 will be issued by authority on official portal. NMIMS NPAT 2019 Results will be announced in the last week of May 2019. Candidates can check their performance in entrance exam through online mode. Keep copies of result for admission process. The result will be declared along with the Merit List, Call Letter & Admission Letter for various courses. The Result is a provisional document it is provided for giving a valid rank. Candidates will need to download the admission letter to participate in the counseling. NMIMS NPAT 2019 Counselling will be held in the third week of June 2019 for various courses. Candidates will be allotted seat on the basis of candidates score and rank in NMIMS NPAT 2019 exam. Counseling is organized in offline mode. Be present at the counseling, candidates can download the admission letter from the website to attend the counseling. Candidates will need to fill choose of the courses and colleges in which they are seeking for admission at the time of counseling. The seat will be allotted to the candidate on the basis of marks obtained by the candidates in the entrance exam and the availability of seats. The whole process of admission is conducted by the authority. Candidates will be called on the bases of a candidate’s performance in the entrance exam. If you have any other queries about NMIMS NPAT 2019, you can write your queries in the comment box given below.